This Student's Book features twelve topic-based units with focused exam preparation to maximise the performance of school-age learners. Units contain pages on Reading, Writing, Listening, Speaking, Grammar and Vocabulary. A Grammar reference covers key areas in the syllabus and unit-based wordlists include target vocabulary with definitions. A Speaking Guide provides extra support for this paper. 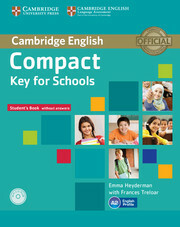 The accompanying CD-ROM provides interactive grammar, vocabulary and exam skills tasks including listening. 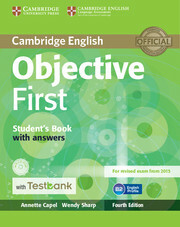 The Student's Book includes a full practice test. A further practice test with audio is available online. Class Audio CD containing the listening material for this course is available separately.